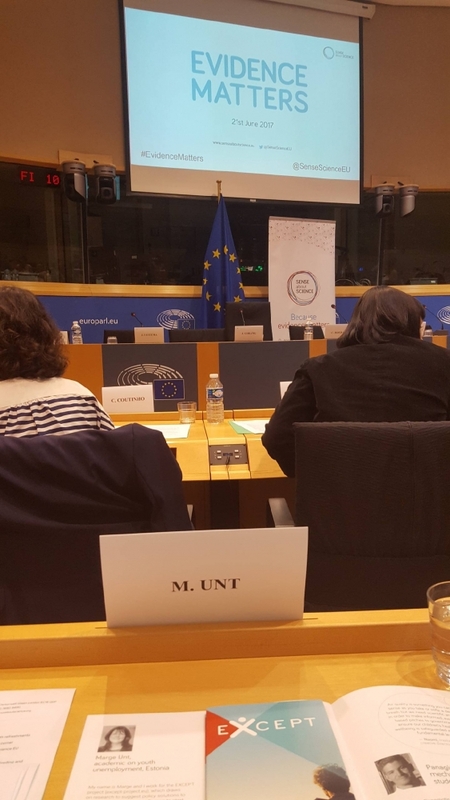 EXCEPT Project Coordinator, Marge Unt, spoke at the "Evidence Matters" event which was held at the European Parliament on the 21st June. Marge was there to represent the young people who often do not have their voices heard and discussed the importance of evidence based decision-making. Around 100 people attended the event, including 30 members of European Parliament and other policy makers and key stakeholders. 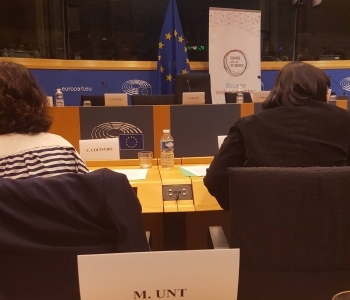 To ensure that she was truly representing the voice of youth, Marge Unt introduced a policy suggestion made by a young woman called Marzena who lives in rural Poland. Marzena’s suggestion was to offer free accommodation in university dormitories during the summer months to young people from rural areas doing internships. 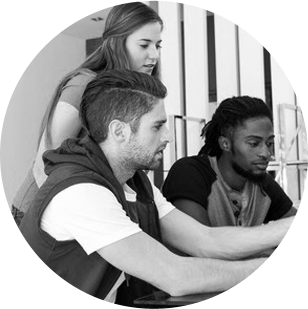 This would help to widen the employment possibilities of the youth from rural areas who otherwise cannot afford to rent an apartment for the period of the internship outside of their hometown, and also make best use of public resources whilst supporting the less well-off young people to make the transition into adulthood. Presenters from across the EU had the opportunity to speak about why evidence matters on issues ranging from teaching to fishing and agriculture policy. After the presentations Frans Timmermans, first vice president of the European commission, responded and other parliamentarians and officials at the event also had the opportunity comment. The event was hosted by Marco Affronte MEP, Julie Girling MEP, Ricardo Serrão Santos MEP and Jan Huitema MEP.